Which languages are in demand for translation? Despite a looming Brexit and political uncertainly being at its highest, the UK economy is doing surprisingly well, giving the circumstances. 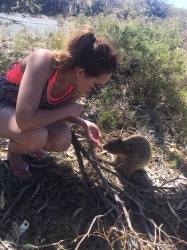 As the general economic atmosphere remains fairly positive, businesses and organisations continue to approach foreign markets and audiences with their products/services. Campaigns tailored specifically for the target audience are today an industry standard, not only amongst the ‘big players’, but also SMEs. As languages are an essential aspect of such business approach, professional translators and translation agencies are quickly becoming key partners for organisations during their international expansion. As a translation agency, we are in a fortunate position to be able to see trends and nuisances within the international business sector and relation to the demand in language services. 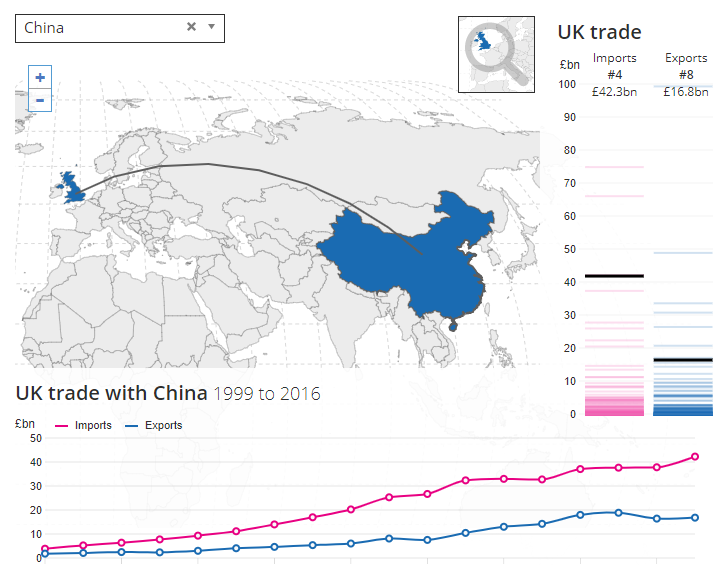 We decided to take a closer look at the primary data available to us and see, which languages were in the highest demand last year, and whether there’s a correlation with UK’s main trading partners. 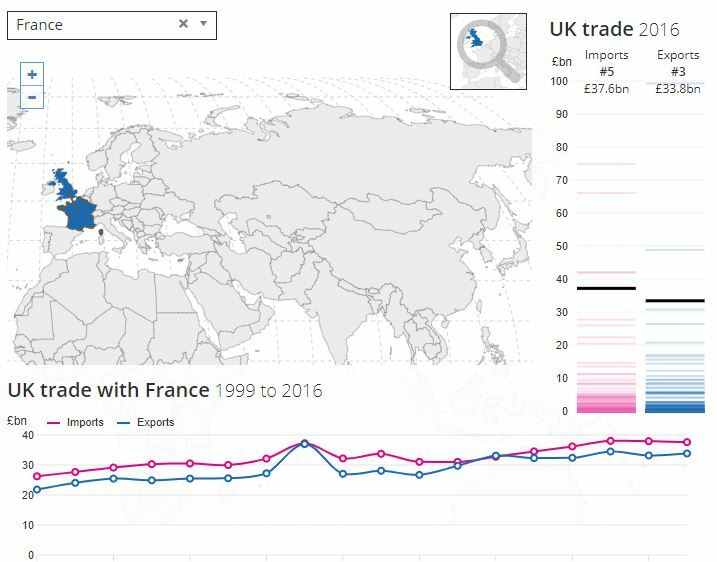 Historically, the French market always had strong ties with the UK, which even today is reflected in high demand for translations in this language pair. Both – UK businesses targeting the French consumers as well as French organisations approaching the UK market regularly require professional translations. In 2018 our agency saw a steady growth in demand for French translation services. 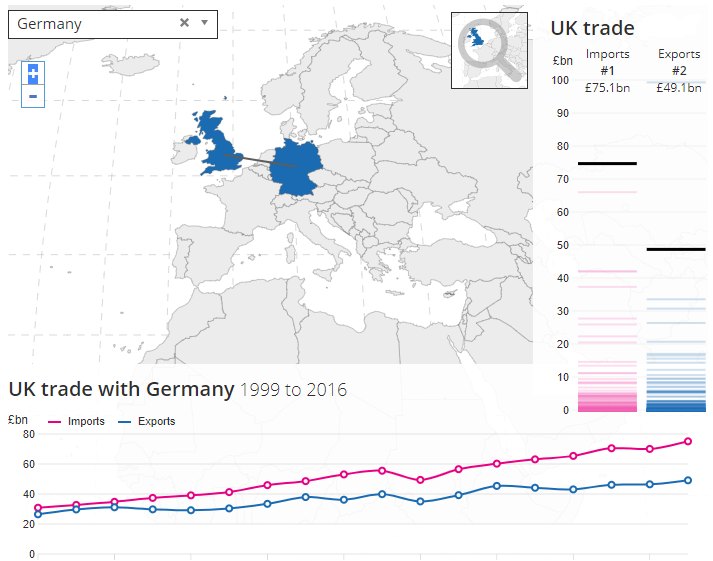 Germany is today one of UK’s largest trading partners in Europe, surpassing even France, with higher numbers of imports as well as exports. In 2018, the demand for German translations have grown quite significantly, in a number of sectors, including technical and medical. Additionally, German is one of the main languages in Switzerland, which is also a very strong UK trading partner. 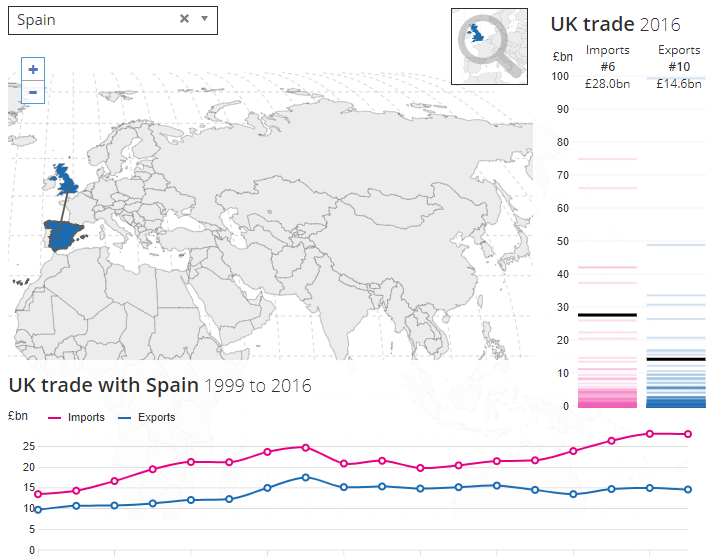 Spain has been an important business partner for the UK for a number of years. Although the trade between the countries have slowed down in the recent years, it still remains relatively high. The Spanish language however isn’t specific for Spain, and its variants are also used officially across different countries, predominantly in South America, which ensures high demand for translations. As one of the fastest growing economies in the world and with an enormous number of consumers and potential customers, China is an important destination for the UK businesses. Mandarin, spoken natively by over 1 billion people is in high demand within the translation industry, and looking at our data from 2018, we can clearly see a rapidly growing tendency across many different business sectors, which we believe will continue. Spoken natively across a number of fast-growing markets in Africa and the Middle East, Arabic is an important language in the business world today. 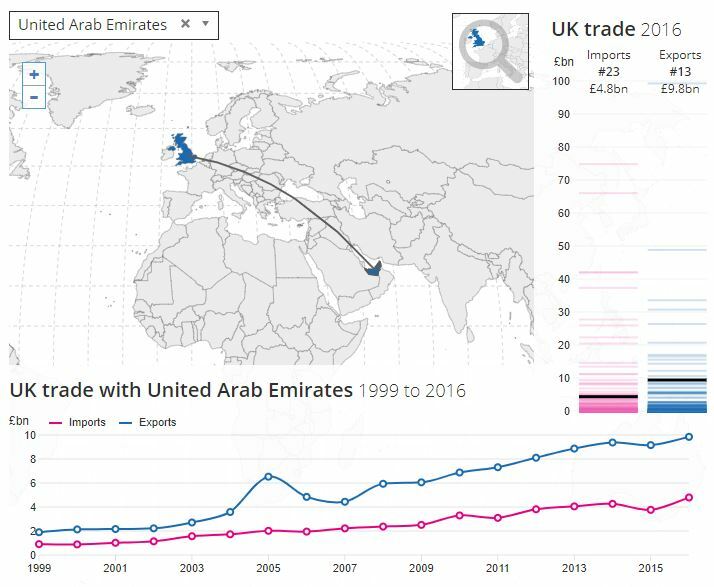 Although somewhat overlooked in the past, UK’s rapidly increasing imports/exports and trading with Arabic speaking consumers and partners is a clear indicator of just how important translations for this market currently are. By looking at our data from the first quarter of 2019, we were also able to notice a clear pattern in the growing demand for a number of languages which were less popular in the previous years. Central Europe, the fastest growing region on the continent, attracts an increasing number of UK businesses, and understandably so. 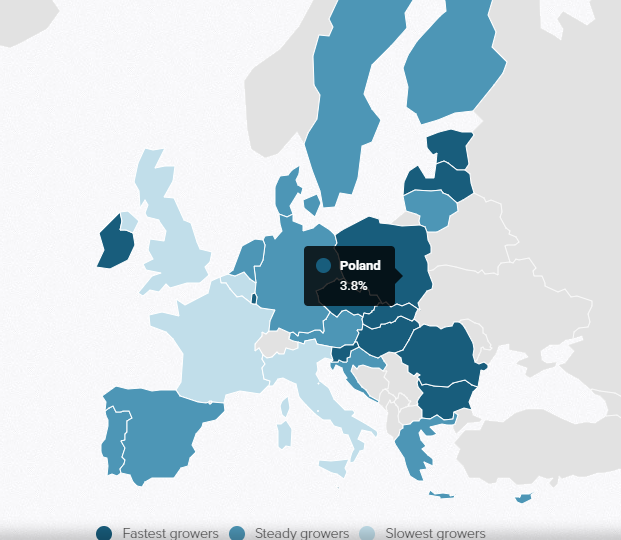 Countries such as Poland, Hungary or Czech Republic (Czechia) have a GDP growth rate close to 4%, which is a good indicator of just how strong a market is and what the predictions for its future are, but at the same time, aren’t as saturated as UK, France or Germany – leaving business owners room to grow and expand. Consequently, Polish, Hungarian and Czech linguists have been in high demand from the beginning of the year, which is expected to be a continuous trend.